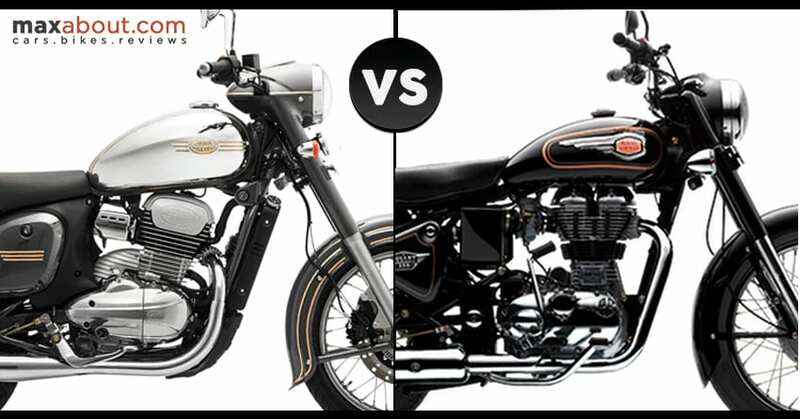 Jawa 300 vs Royal Enfield Bullet 350: Jawa 300 is a direct rival to the Royal Enfield Bullet 350, with both brands having decade old rivalry through their two-stroke products. 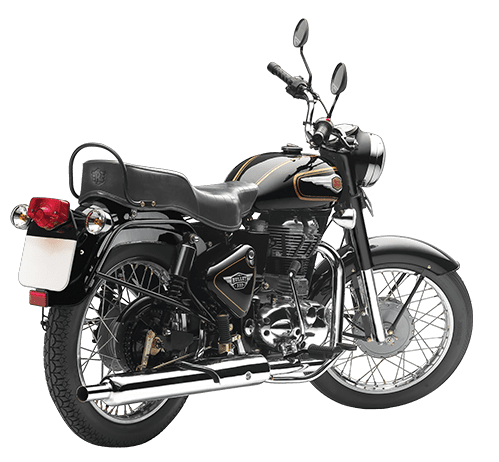 Jawa 300 is powered by a 293cc, single-cylinder engine producing 27 BHP and 28 Nm while Royal Enfield uses a 346cc engine producing 19.8 BHP and 28 Nm of torque. 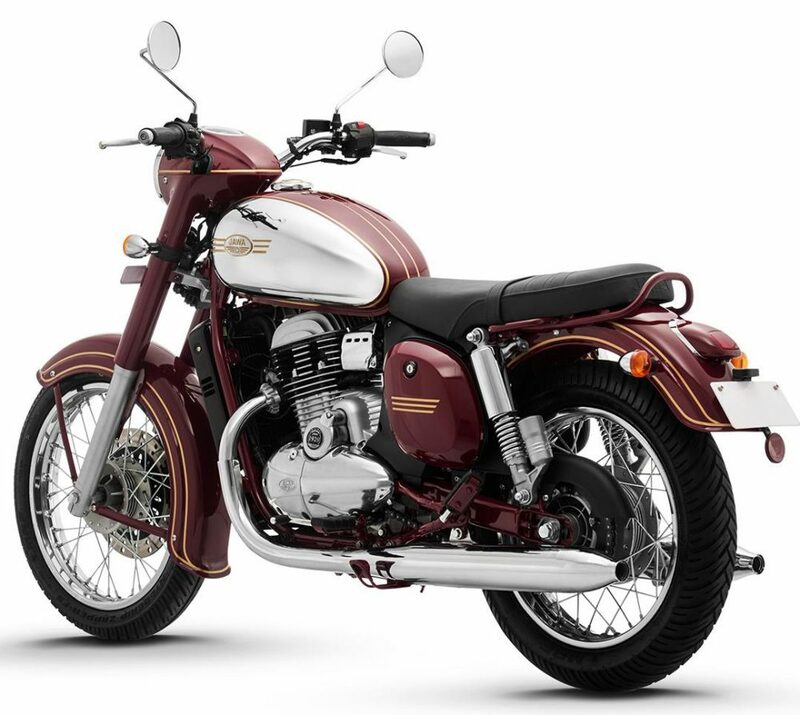 Jawa uses a refined 6-speed gearbox while Bullet 350 comes with a 5-speed gearbox. 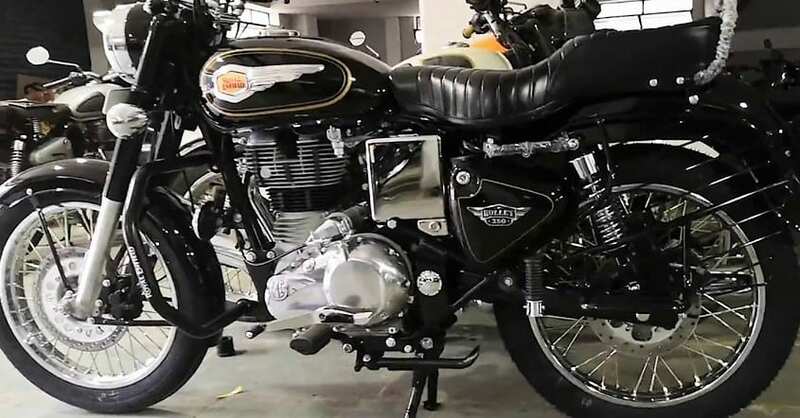 Fans were expecting a similar exhaust tone from Jawa 300 but BS6 level refinement and other changes resulted in a superbike style high rev sound for the motorcycle. When idle, the sound is quite impressive. You can check out the Jawa exhaust sound video here. 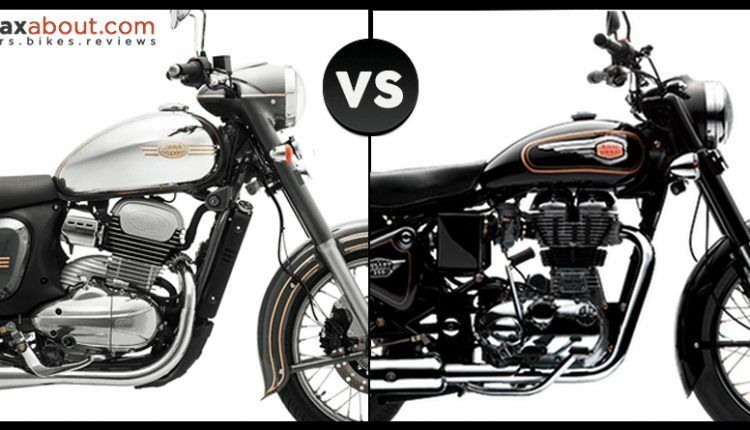 Royal Enfield comes with the same iconic thump but the intensity has also gone down due to the new engine construction. The Bullet 350 can be had in either dual disc variant or the ES version with an electric starter. 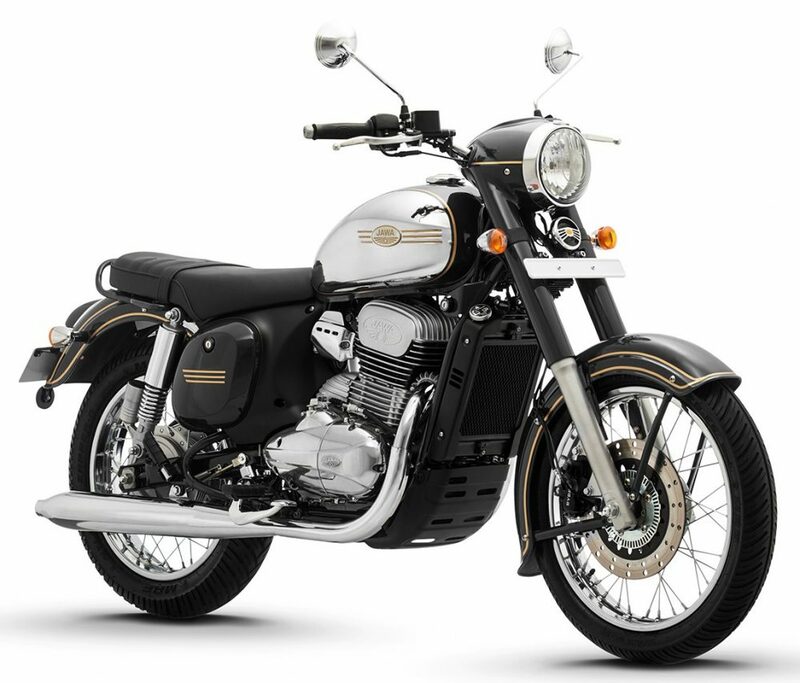 Both the brands have a niche fan following and those entering the biking community for the first time will prefer getting the ABS-equipped Jawa 300 for safer riding. However, Royal Enfield will also launch a dual-channel ABS variant (better than Jawa’s single-channel unit) in the coming weeks. The tires are better on the Jawa 300 and it comes out to be lighter too.